Gold-filled chains are an essential accessory in every womanâ€™s jewelry collection, offering a classic complement to beautiful Murano pendants and the look, feel, and durability of real 14K gold at a fraction of a cost. 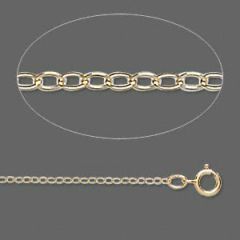 Our gold-filled chains are very high quality, created by chemically bonding a solid layer of real gold to a layer of base metal using high pressure and heat. As a result of this process, these gold chains for women do not fade or tarnish and give you the same look as 14K gold. 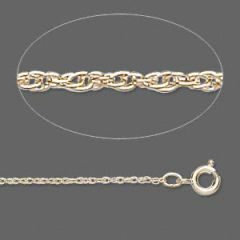 Several styles such as rope chains and cable chains in 16 and 18 inch lengths are available to help you create the right look for any occasion.